Rwanda lies directly north of Burundi and between Uganda, Tanzania, and the Democratic Republic of the Congo. 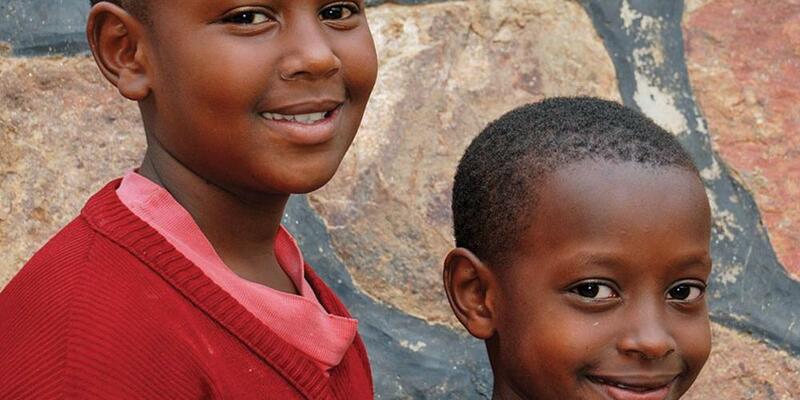 Rwanda is a hilly country with farms on all but the most rugged land. During the growing season Rwanda looks much like a green patchwork quilt has been tossed across the landscape. Of the more than 561,000 people living in the Solomon Islands, nearly 47,000, or one person in every 12, is a Seventh-day Adventist. The equator runs just north of Rwanda, but because of the country’s elevation, it maintains a temperate climate year round. The capital and largest city is Kigali, with a population of more than 1 million. Charity and Natasha are sisters, and they live in Rwanda in eastern Africa [Locate Rwanda on a map.] For Charity and Natasha, sharing God’s love is a family affair. Everyone gets involved. And she does. During breaks at school Charity talks to her classmates about the great things Jesus did in Bible times and explains that He can do great things in their lives too. She tells them that Jesus is her Savior and invites them to let Jesus be their Savior, too. Then she invites them to attend church with her family. One girl Charity invited is her friend Pauline, who now comes to church regularly. A few months ago Pauline invited her mother to attend church with her. Charity’s mother talks about God with Pauline’s mother, and that helped Pauline’s mother choose to worship God. Now Pauline’s mother regularly attends church with Pauline. She’s studying the Bible on her own so she can find answers to questions about God. Natasha is Charity’s younger sister. She’s determined not to be left out when it comes to sharing God’s love. Charity and Natasha’s parents are happy that the girls invite their friends to church. Boys and girls, let’s share God’s love with someone this week and try to invite someone to come with us to Sabbath School next week. That’s one way to tell the world that Jesus loves them.